Earn $13.52 in VIP credit (1352 points)What's This? 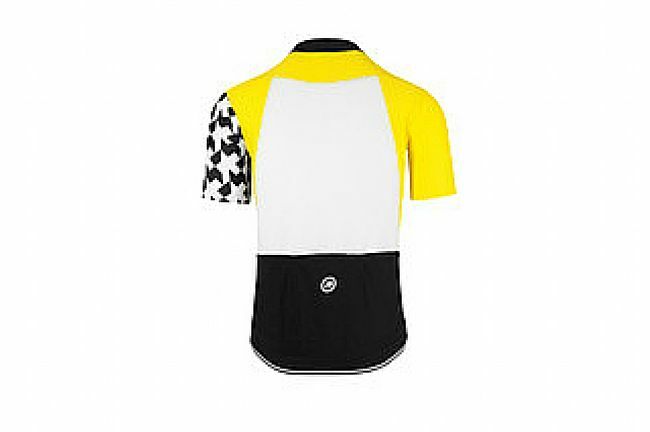 The Assos Men's SS equipeJersey_evo8 is a premium performance jersey that is tuned for speed and comfort. 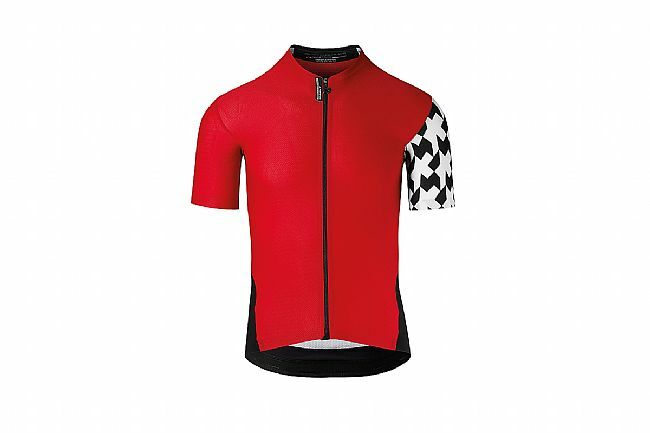 Featuring bonded edges at the sleeves, waist, and zipper and Assos's RacingFit, the Equipe_evo8 delivers a pro look with performance that doesn't disappoint. 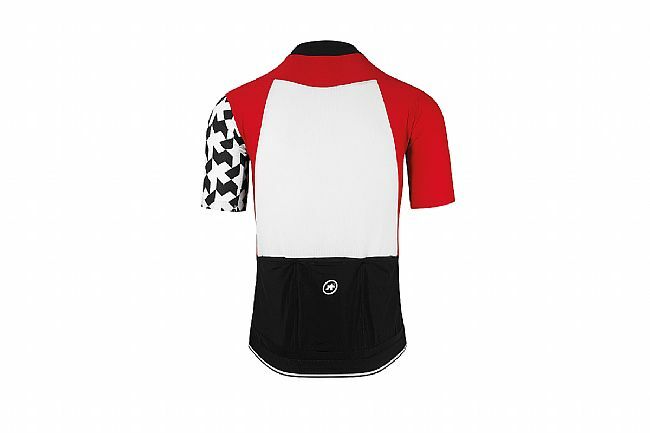 With the blend of Assos's technical fabrics, each selected for its outstanding breathability, stretch, comfort, or stability, this jersey is right at home putting in work in the height of summer. Complete the look (and feel) with the matching bib shorts. 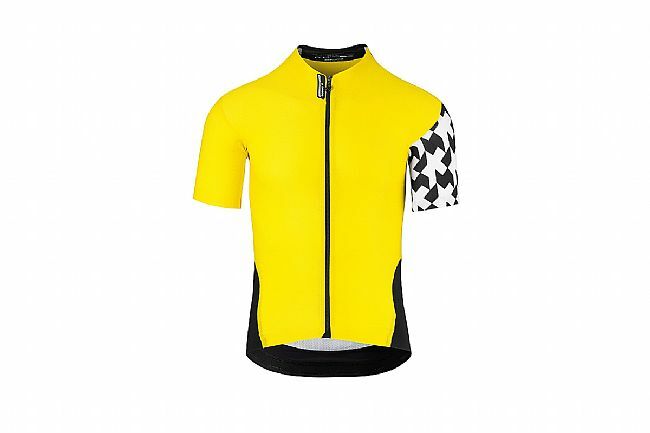 Featuring a blend of Assos's technical fabrics, each selected for its breathability, stretch, comfort, and stability. 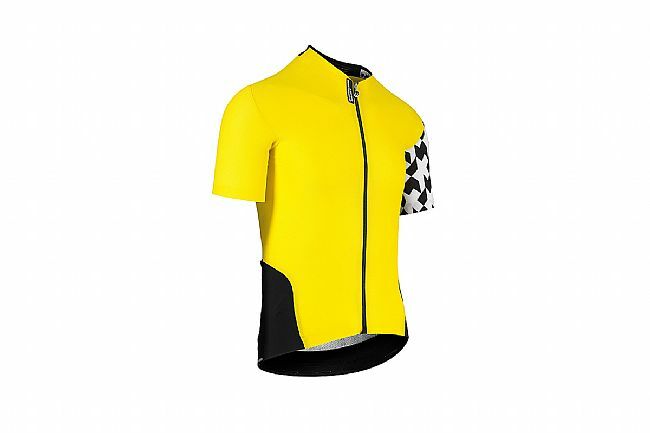 Assos Racing Fit is tighter and slightly more compressive than the Regular or Comfort Fit options. Full-length bonded zipper, allowing for on-the-go adjustment and ventilation. Bonded edges add refinement to the fit and improve aerodynamics. V-Neck collar construction achieves the ideal fit when in the racing position. A wide, secure elastic hem that ensures a frictionless fit while riding; plus a reflective strip for improved visibility.